1 Esdras (Greek: Ἔσδρας Αʹ), also Greek Esdras, Greek Ezra, or 3 Esdras, is an ancient Greek version of the biblical Book of Ezra in use among ancient Jewry, the early church, and many modern Christians with varying degrees of canonicity. First Esdras is substantially the same as Masoretic Ezra, with one notable addition corresponding to the middle of Ezra Chapter 4. Josephus makes use of the book and some scholars believe that the composition is likely to have taken place in the first century BC or the first century AD. Many Protestant and Catholic scholars assign no historical value to the sections of the book not duplicated in Ezra-Nehemiah. 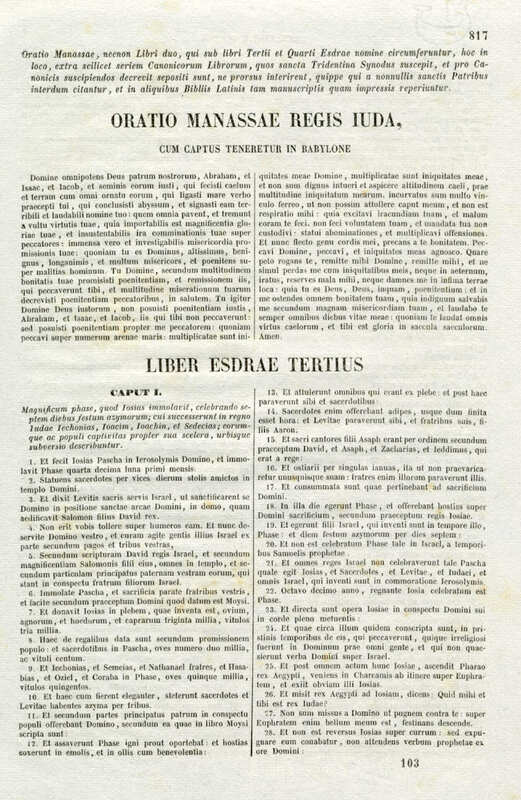 The citations of the other books of the Bible, however, provide an early alternative to the Septuagint for those texts, which increases its value to scholars. 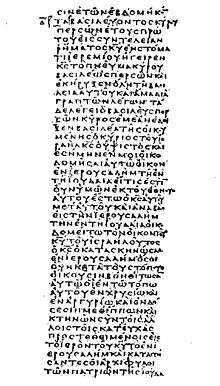 The book was widely quoted by early Christian authors and it found a place in Origen's Hexapla. It was not included in canons of the Western Church. Clement VIII placed it in an appendix to Vulgate with other apocrypha "lest they perish entirely". However, the use of the book continued in the Eastern Church, and it remains a part of the Eastern Orthodox canon. 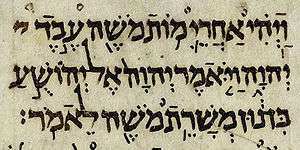 Some scholars, including Joseph Blenkinsopp in his 1988 commentary on Ezra–Nehemiah, hold that the book is a late 2nd/early 1st century BC revision of Esdras and Esdras β, while others such as L. L. Grabbe believe it to be independent of the Hebrew-language Ezra–Nehemiah. ↑ Charles C. Torrey (1910). EZRA STUDIES. University of Chicago Press. p. 58. ↑ W. F. Albright, "The Date and Personality of the Chronicler", JBL 40 (1921), 121. Full text. ↑ Edwin Yamauchi, "The Reverse Order of Ezra/Nehemiah Reconsidered," Themelios 5.3 (1980), 7-13. Full text. ↑ Ezra 4:6, which introduces a difficult "King Ahasuerus," is not found in I Esdras. ↑ Liber Esdrae Tertius Apocrypha. ↑ Ethiopian Ezra Kali means "2 Ezra".